Thanx for the most excellent compliment, that is higher praise than I would have ever imagined or hoped for! Babbling? No worries, I could listen and talk Carrara speak all night. I can't say it better, total agreement, Carrara is so totally complete, and complex enough to do it all, do more, and challenge us for life. I am unfortunately NOT good at UV's, but I have some gear, so just a matter of time. I get really nice templates out of the Stitch Witch, and so far that has done the trick for me, and it makes excellent maps. When I learn the Carrara paint room, I should totally be in cotton. I have some more shaders in mind, but I think I will divert for a bit, and make some clothing textures, just for a break, just to play, maybe give me reason to try the paint room. And you thought you could babble.... Really I just like playing with the Witch, and it's been a while. Right after I get my velvets out. I hope that making brushes is not too different from making them for Photoshop. As I aim at clothing, I want to thank the artists who have made some wonderful textures for us, Atenais, Bez, Sveva, and Bez & antje for their Photoshop styles and actions. Stitch Witch, eh? I forgot to revisit that product in the store. It looked interesting - but I get so excited, I often drop my budget on other stuff. I'll have a look again, though. Like other tools in Carrara, I've noticed that, if you're experiencing unwieldy control, try zooming in more. The Witch is a much under-rated tool, and a lot of fun. I show you pretty soon some stuff I did with her, and my version of art may not be so hot, but you will see what she can do, she is hot! Very cool! Glad you tried it! I just painted this. 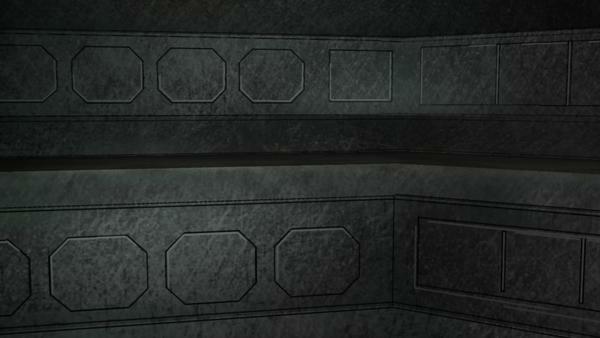 It's very, very low poly, just relying on the paint for detail - as it is a distant background item. If you'll notice the highlights around the panel edges, that's paint too - as there truly is no geometry there beyond a flat plane. I haven't made my bump maps yet - so it's just all flat. The walking surface, which you cannot see, has a really cool texture that will come out beautifully with either bump or displacement. But due to its background nature, I'll use bump. 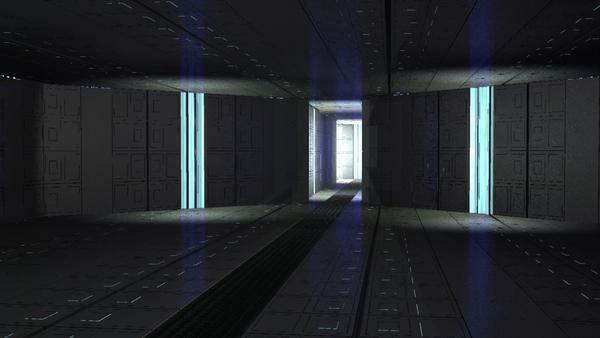 Finally got the Sequin shaders perfected, now they reflect lighting and nearby objects. Rebecca, you freaking R O C K ! ! ! Excuse my ignorance, but can Carrara import BVH files? If not, is there a BVH *importer* for Carrera or something like Puppeteer? Hi Rebecca, that's impressive! Hi Dart! I am having a terrible time creating weatherbeaten skin on a V4 skin texture map. It's now been stretched over a morphed genesis basic femaie face. Am hopeless with displacement/bump textures. I paid for a couple and they don't work very well at all (graytone) Would Stitch Witch let me paint on my character's face texture map to get a leather/skin pore effect? I tried overlaying leather effect textures and using leather brushes in PSD and it does not look "deep" enough on its own. I went to the model room and did some displacement painting on the main figure's face (the morphed one only shows in animation and no displacement tool there, just weight paint with no effects but add/subtract). I didn't go nuts yet because it's hard to tell when I go back to assemble to see if it made any difference "through" the current skin texture I am using for my morphed character. Maybe will remove the face texture and leave it plain until I can rough up her face. . Dart...I tried to find your Part Two for Walk Through Shaders video but it's not in the list of 29 YouTube vids. Where is it???? I need to learn more about bump/shaders on skin. Is there another resource? I haven't checked back into PhilW's IS vids yet. If there's help to give my character a skintone of a person living without moisturiser in paleolithic times, let me know and I'll start another thread with screenshots. I ended up using a basic female Genesis figure because I have the 182 Morphs Die Trying which FINALLY gave my character a Neanderthal face/head that I could model with some success. Going to Hex and faffing around wasn't an option....I need all the facial morphs for expression etc. Brilliant list. I don't think I thanked you before for such a wonderful effort. Well done that man. Yes you can. Please understand that I'm going from memory here - as I don't use BVH. 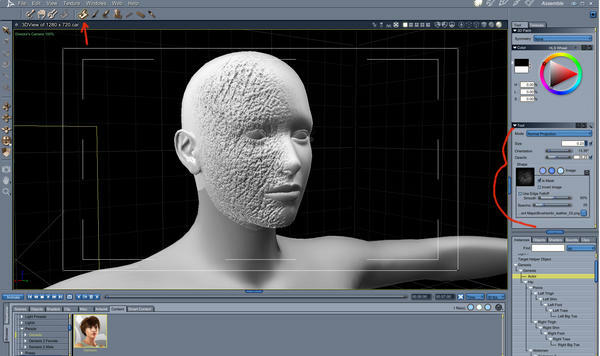 When importing a BVH file into Carrara, it just comes in on its own - not actually applying itself to your character. So the BVH comes in on a skeleton rig of all of the parts used in the BVH file. Now you can use the NLA clip creation to save the motions to a clip, or use the skeleton in some other way. Like I said, I don't use BVH, but I do recall something like that. Not sure how deep you want these lines in the face to be. Displacement mapping can certainly get you there - but at a cost. In order to get high enough detail for that, I think you'll need to crank your smoothing up to 2 or possibly 3, then try displacement painting. To just try and let textures do the work, which will be more responsive in rendering, but doesn't actually 'displace' the mesh, try using 3d Paint in Carrara. There are a bunch of brushes that come with Carrara. I would look under the "Textures" category and try "Cracked" or something along those lines. Changing the size of the brush also changes the size of the image used for the brush. So you can get the right sized cracks like that - and then if you need more fall off towards the edges, just turn up your smoothing fall off. In making the screenshots, I've found that Leather might be more what you're after. Play around with different brushes - try different categories. I bought all of Ringo's and GKDanta's brushes - so I have a bunch to choose from. But Carrara comes with some really nice ones. Take care to change the Opacity of the brush for less or more effect with each stroke. To make your size 'on the fly', hold down Ctrl while dragging the tool - watch the circle resize - it starts at size zero (tiny) and you drag it larger. When Painting, I have found that Edit > Undo works much better than Ctrl Z. Ctrl Z was taking a long time, Edit Undo was not. 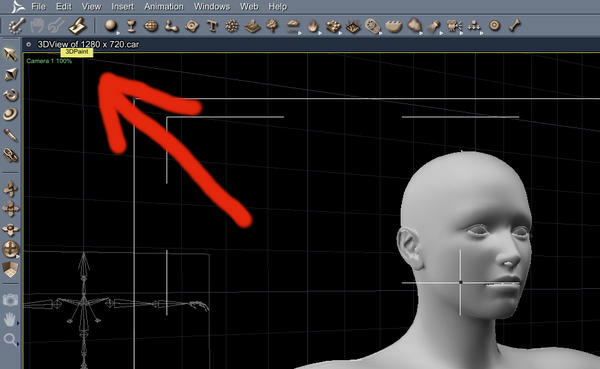 During the map creation part, save the image to a place you'll easily be able to load it to your figure. I suggest doing this separately, and then adding the image to the bump channel. I only say this so that you're not dealing with a lot of overhead on your computer while painting. Everything Dartan said is true, however I've had less stress using DAZ as the importer of the BVH file, then editing there to save out as an aniblock. (with all the advantages of animate 2 editing in DAZ). I then import the aniblock into Carrara (you have to buy the aniblock importer from memory - it's not expensive). In this way I get a bug free import of a BVH file. Just my three pence worth. It's been a super long time since I tried this, but I recall if you have the figures' hip bone selected when importing the BVH file it will import the movement/skeleton onto your figure. If I recall Carrara will ask if you want to replace the old rig with the new. I could be remembering it wrong, or forgetting steps. For DAZ and Poser style figures (not counting Genesis- that I don't know about), you'll want Poser compatible BVH files. Steve brings up a great point, that I'm rather surprised I didn't mention while explaining. aniMate 2 is an excellent tool. It has the ability to bake keys from the timeline into a new aniBlock, which is true power. 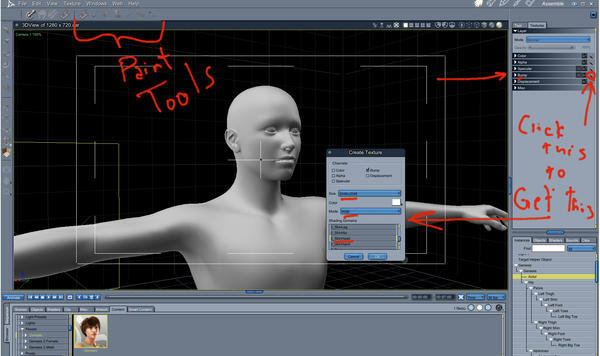 It then has the tools to help you optimize the motions for the specific figure you're using. GoFigure has some really good information on this stuff on their YouTube channel. Furthermore, the aniBlock importer for Carrara is excellent! aniBlock information comes through beautifully, leaving you with keys that you may further manipulate in Carrara's time line as well. Good call, Steve! As evilproducer hints towards, you can often get different formats of BVH, set up for various types of figure - often from the same source. The ones set up for DAZ's M4 and V4 work great for most DAZ figures, but the feet and possibly other parts will be messed up for Genesis figures. 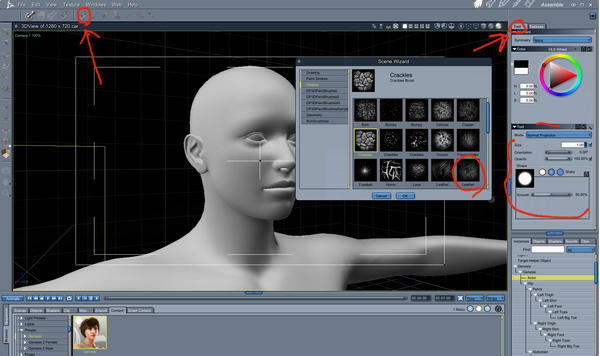 If you use aniMate 2 in DAZ Studio to prep the motions for aniBlock creation, you'll have easy to use tools to help you to fix the joints that look wonky. You can do this in Carrara - perhaps even easier, using the powerful graph editor (switch from "Sequencer" to "Graph Editor" in the Carrara time line) where you have the control to change the overall rotation of the joint across the whole animation - leaving the motion data intact, while optimizing the initial rotation to something more useful for the intended model. That is how I edit my aniBlocks and other motion poses to work on Genesis. like photoshop would. Good or bad thing there, i don't know. It's nice to further hear words of satisfaction from someone who uses it to create cool stuff. On the Stitch Witch ability to follow curves, yes it does, you can draw a line and apply smallish lace bits and they will go wherever the lines goes, also VERY cool for adding stitches, even tiny ones. It can also take any texture map, lace, or stitch and change the contrast, brightness, color, opacity (or transparency), it has a drop shadow if you need one, actually the SteamPunk Highland Girls set I'm showing really uses like a third maybe half of what the Witch can do. Oh, the lines in it are set up be a series of dots, however many you need, and there is an auto curve function for them, and of course they are movable later. It can also set buttons. Rebecca of NexySaloon DeCarlo totally R O C K S ! ! ! What a great little run down on the Witch that Stitches! Thanks for that - as if you haven't already sold me. Not sure how soon I'll be able to add it to my arsenal, but it certainly has made it to my wish list - and the price is really cool. Very nice! Very informative, thorough, and yet right to it. Bravo! Such an awesome thread Dartanback...........really useful for Carrara lovers indeed. Rebecca ----very nice work on those shaders . I hope to find sometime to use a few ...they do look juicy. And that Stichwitch stuff looks interesting as well. thanks for posting that too. I hope this is the right place to share some shaders for my march madness: metallic paints and metals; no particular restrictions of use, all the included maps are being grabbed from the web.